With this win, RCB have now moved to sixth place in the table with six points while Mumbai are now seventh with just four points from eight matches. 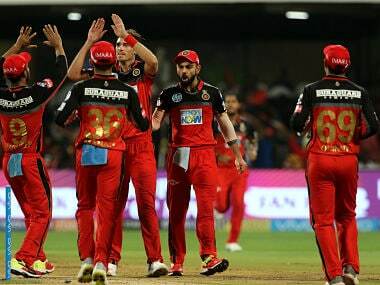 Bengaluru: Royal Challengers Bangalore pacers blew away the Mumbai Indians' top order before shining in the death overs to set up a much-needed 14-run win, which kept them alive in the IPL Play-offs race. 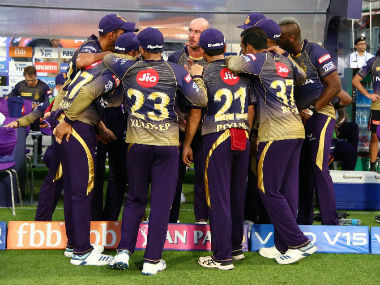 Mumbai Indians bowlers had also exploited a difficult batting track but leaked a few runs towards to end to allow the hosts post 167 for seven, which was a fighting total under challenging conditions. Captain Virat Kohli (32) and Brendon McCullum (37) added 60 quick runs in the middle overs to help RCB recover from a slow start and Colin De Grandhomme (23 from 10) hit three sixes in the last over, bowled by fellow New Zealander Mitchell McClenaghan, to provide a flourishing finish to the RCB innings. 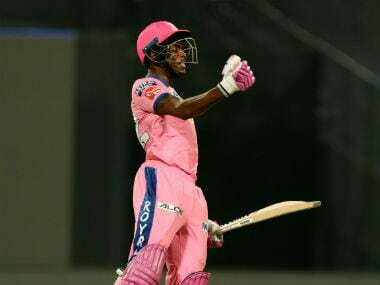 MI all-rounder HardikPandya (3/28) scalped three batsmen and effected a run-out to stop the hosts from running away with a big total but it proved enough in the end as all Mumbai Indians managed was 153 for seven. 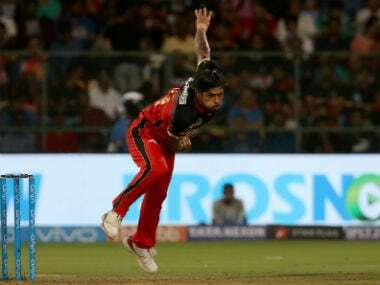 The RCB bowlers, specially Umesh Yadav, produced hostile fats bowling spell upfront to peg Mumbai Indians back while Tim Southee (2/25) and Mohammed Siraj (2/28) delivered the goods in the death overs. The visitors' chase suffered a huge setback as they lost three wickets inside four overs. Southee got rid of Ishan Kishan (0) and then Yadav scalped Suryakumar Yadav (9) and rival Captain Rohit Sharma (0) in successive balls. It was a gem of a ball that did Rohit in as the ball came in and flew after pitching, took a faint edge and Quinton de Kock leaped to his left to complete the sensational catch. Kieron Pollard (13) and JP Duminy (23) had an onerous task at hand but Siraj had the West Indian caught behind, leaving Mumbai Indians reeling at 47 for four. Pandya brothers -Hardik and Krunal — kept Mumbai in with some smart batting, running hard between the wickets to keep the scoreboard moving. Krunal hit de Grandhomme for a massive six before Hardik found two boundaries to take 17 runs from the 16th over. The brother had put on a 50-run stand to get closer to the total. The visitors needed 45 from the last four but Southee bowled exceptionally well by conceding just five runs in the 18th over. 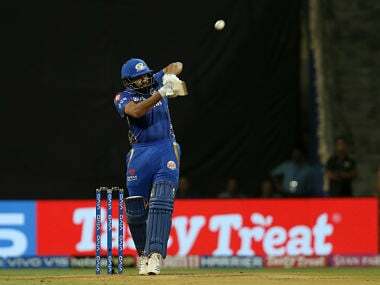 Siraj sent back Krunal (23) to end his 56-run partnership with Hardik and now Mumbai needed 28 from nine balls. Southee struck again and this time he removed Hardik, caught by Kohli in the deep, in the first ball of the final over. With that wicket Mumbai were out of the game. 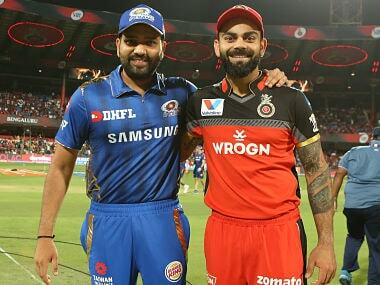 Earlier, as the wicket offered turned and pacers too generated pace, Mumbai Indians succeeded in straight-jacketing the RCB batsmen. Since it had rained, there was dampness in the wicket, causing the ball to come a slow on the bat. Vohra broke the shackles by creaming off 22 runs from South African all-rounder JP Duminy's second over. McClenaghan, though, kept troubling Quinton de Kock (7) , who struggled badly to connect the bat with the ball and was eventually caught brilliantly by Rohit Sharma at short mid-wicket off the Kiwi paceman. Considering the conditions all three spinners were employed by Captain Rohit Sharma. Krunal Pandya turned the ball away from McCullum while impressive Markande yet again kept the batsmen in a tight leash. The spinner was hit for a six by Vohra but Markande trapped his Ranji teammate from Punjab. It brought Skipper Kohli at the crease as he came to bat at number four from his usual one-down position. The hosts claimed 20 runs from the 10th over, bowled by Hardik with McCullum hitting him for two sixes and a four. Hardikwas bang on target when the Kiwi batsman attempted a single and was run out. It ended the 60-run partnership between the two. 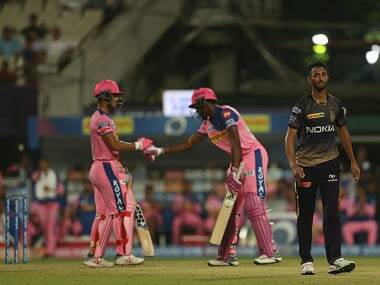 Pandya then ripped apart the RCB batting line up by dismissing Mandeep Singh (14), who looked in good touch, Kohli and Washington Sundar (1) in the 18th over.